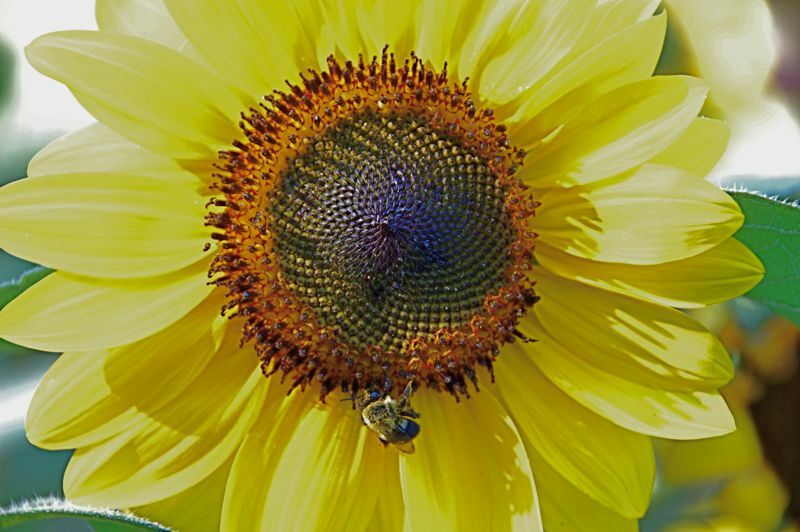 This busy bee has long gone from my garden as have all of the sunflowers. A few of the sunflowers that have gone to seed are still bringing the birds a bit of happiness just as they made me smile during the summer when their happy faces followed the sun each day. God willing, I'll have many more sunflowers in the garden next year.